With support from dé Salve, a company devoted to inspiring both children and adults to be more physical active, and Kia Motors UK Ltd. he reached his last stop on April 22, 2015 after walking 700 miles. Alessandro was greeted by pupils when he arrived at the school, with his loaned Kia Sportage shortly behind. With donations still coming in, Alessandro's 'Walk for Charity' has already raised £5,700. This money will go towards the provision of a specialist gym for use by children undergoing treatment at the Royal Marsden Hospital. 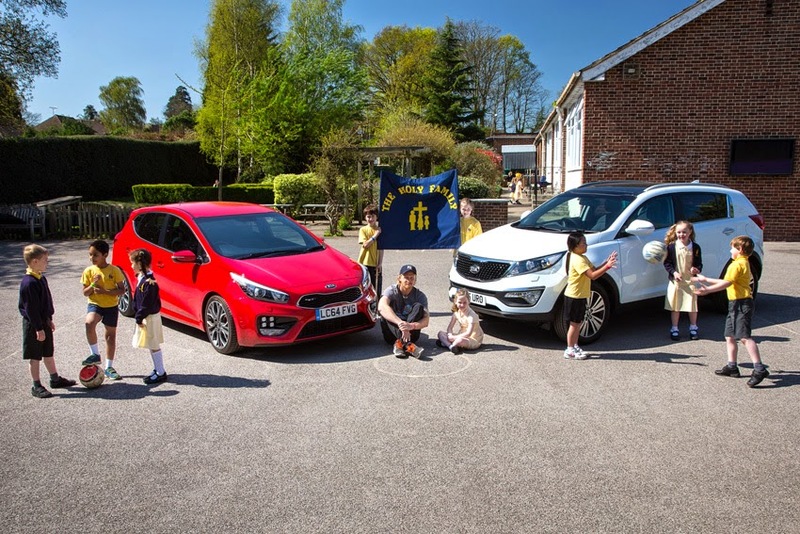 Events were held along the way at several county cricket clubs, including two visits to The Kia Oval and Northants County Cricket Club - where local dealer Bells Kia gave out goodie bags to local school children who were involved in the event. Alessandro Sabelli - who plans on writing a book based on his experience, said, "Having a welcome like the one at Addlestone Holy Family School, and the Royal Marsden Hospital was amazing. The support really helped during the walk, it spurred me and the team on!"